Do you ever feel like you’re running out of time to complete your so-called travel bucket list? 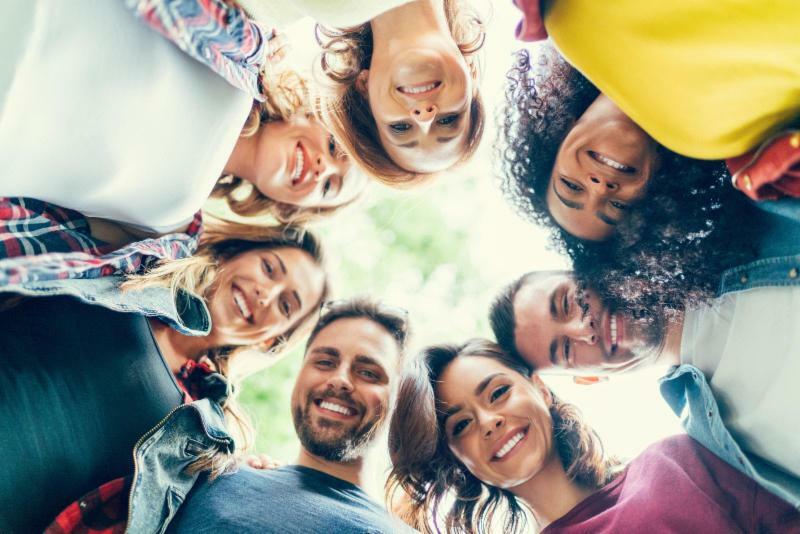 I’m part of a generation where time is increasingly a factor when it comes to visiting other parts of the world outside of our annual de-facto vacations at the cottage or down south. When speaking with my boomer peers about vacation plans, the general consensus is that we intend to visit destinations that are relatively unspoiled, undiscovered, or over-run by the kind of tourists that care very little about local residents and the environment. At the same time, we expect exceptional service and many of the conveniences of home. The question is…do these places that fit our general criteria actually exist? One primary factor that influences my decision on choosing a vacation spot is whether I’ve ever visited the country, region or community before. Given how many destinations there are, it typically doesn’t take much to identify a place. So when I gratefully accepted an invitation to attend a friend’s wedding in Paris last month, I also booked a side trip to Lisbon, Portugal because it was a city I hadn't been to yet heard so much about, not to mention convenient to get to from France. I suspect that I’m like many tourism professionals after visiting a place for the first time. Aside from comparing it to my own city, I typically evaluate my experience based on a number of elements including, but not limited to, how good the food and accommodations were, how easy it was to get around, whether it was clean, safe and offered good value, and what there was to see and do. But above all, for a destination to receive my recommendation as a must-visit, I tend to base most of my assessment on how good the overall customer service was. In Lisbon, I quickly got past the hordes of people, unsightly graffiti and below average accommodation, but I had trouble forgiving some of the service deficiencies we experienced. 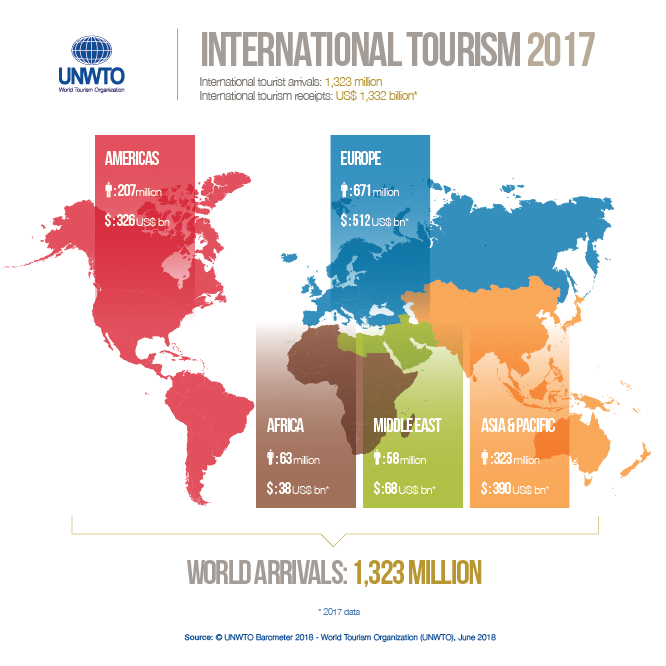 While still a wonderful destination in so many ways, I couldn’t help but think about how much better it would be if customer service were a higher priority throughout all of their tourism sectors. My observations made me think about British Columbia’s thriving tourism industry and how visitors experience our destination from a customer service perspective. I’d like to believe that exceptional service is in everyone’s DNA but that would be naïve. 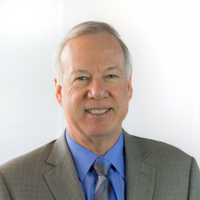 In fact, stellar customer service is taught, practiced and evaluated constantly as part of a dedicated, province-wide strategy that ultimately makes an enormous difference in a visitor’s experience here versus another destination. Aside from the excellent training programs executed by many individual tourism businesses, our industry benefits tremendously by leading edge customer-service initiatives like SuperHost, now under the auspices of go2HR. In my view, we sometimes underestimate how important SuperHost and other go2HR training programs for BC tourism workers and employers really are. After my customer service experiences in Lisbon and elsewhere, I’ve come to appreciate our home-grown training initiatives even more, especially considering the direct benefits they offer to both industry and visitors. Back to the original question (if you happened to catch it earlier): Do visitor destinations that are unspoiled, largely undiscovered, not over-run by uncaring visitors, and offer exceptional customer service still exist? The answer is yes and many of them can be found right here in British Columbia. While I feel fortunate to have visited more than 40 countries over the years, I am happiest when experiencing a part of our province I haven’t seen before and benefitting from the exceptional customer service I receive from trained tourism professionals. Given BC’s vast geography and other factors, I wonder whether I have enough time to visit every community on my lengthy travel bucket list. I certainly hope so. More to come on parts of this story in the coming weeks. Destination British Columbia has earned the coveted title of Marketer of the Year by the BC Chapter of the American Marketing Association (BCAMA). Destination BC has introduced the next evolution of HelloBC.com : an immersive, content-rich, and thoroughly captivating consumer website that brings the province’s unique personality and diverse experiences to life. The website launch comes as the summer holiday season kicks-off, providing visitors and residents alike with a visually impactful and technologically intuitive resource to plan their trip to and within BC. 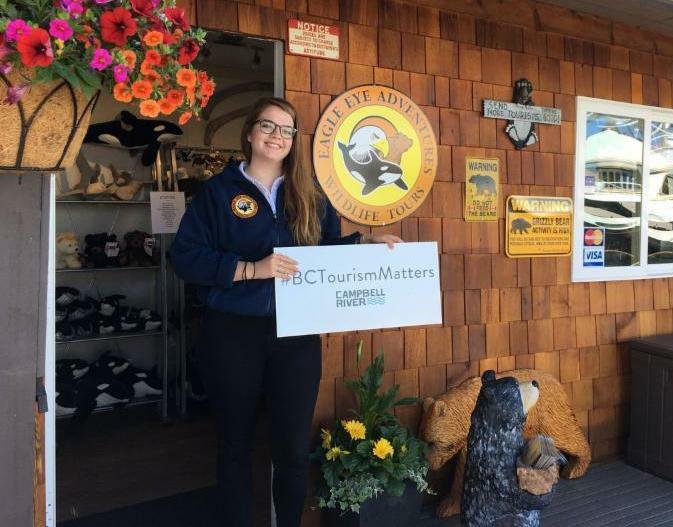 A main focus for Northern BC Tourism/ITBC's Indigenous Tourism Specialist Lucy Martin continues to be connecting with Indigenous stakeholders and learning about tourism products, so she recently travelled west from Prince George along Highway 16 to a number of communities. The cultural centre at Nadleh Whut’en houses administration, a health centre, a learning centre, a commercial kitchen, and a gymnasium. 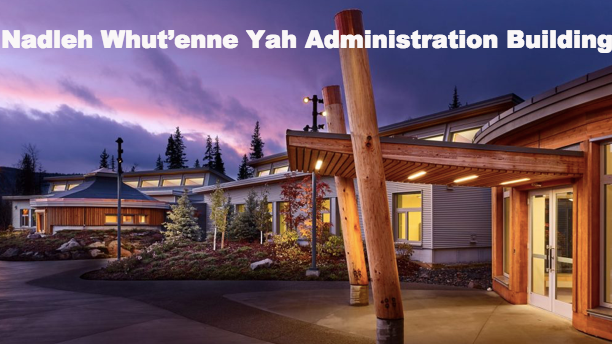 Other visits included the Stellat’en First Nation, Tsil Kaz Koh, Burns Lake Native Development Centre, Lake Babine Nation, Wet’suwet’en First Nation, Yinka Dene Economic Development Limited Partnership, Gitksan Paintbrush, and Gitwangak. While in Burns Lake, Lucy also met with Adele Gooding of Skin Tyee First Nation, a small community on the southside of Francois Lake. Skin Tyee purchased the Tweedsmuir Hotel a few years ago and have been undertaking a major renovation on the property. By sourcing as much local supplies and labour as possible, Skin Tyee have been training both their Band members and members from Burns Lake Band (Tsil Kaz Koh), Lake Babine Nation, Nee-Tahi-Buhn, Wet’suwet’en First Nation, and Cheslatta during the renovation process. To connect with Lucy Martin and possibly have her visit your community or attend an event, please contact her at lucy@nbctourism.com . 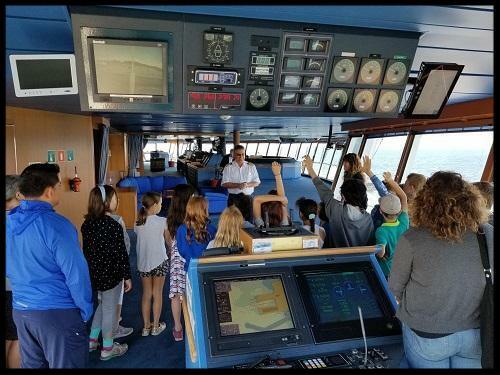 Grade 4 and 5 students from the James Bay Community School recently got a first hand look at the cruise ships that visit Ogden Point. Hosted by Royal Caribbean’s Explorer of the Seas and the Grand Princess students, teachers and accompanying parents visited the bridge learning about the math and science of navigation, enjoyed time in the Youth Center and learned about the environmental sustainability practices of cruise operations from the Environmental Officer. Support for the tours was provided by Victoria Cruise Industry Alliance members who were excited to share more about both the shipboard and shore side aspects of the industry, including stevedoring, port agents, pilots and more. Students started their learning and prep for their visit a month in advance with a visit to the school by GVHA Western Stevedoring representatives. go2HR and TOTA recognize the importance of supporting your business in this thriving tourism industry. They would love to hear from you: are their efforts meeting your hiring needs? How can they improve to serve you better? Attention all TOTA region stakeholders! Please take 5-7 minutes to complete the Thompson Okanagan Regional Tourism HR Initiatives Employer Survey, and comment on two recent go2HR/TOTA initiatives: Campus Recruitment Trip to Alberta (October 2017) and Tourism Job Fair (March 2018). Please complete the survey even if you did not attend the two events, as there will be questions pertaining to all tourism employers in the region. Your responses to this survey will be kept confidential and only aggregated data will be reported. The deadline to complete the survey is Monday, July 9, 2018. Questions? 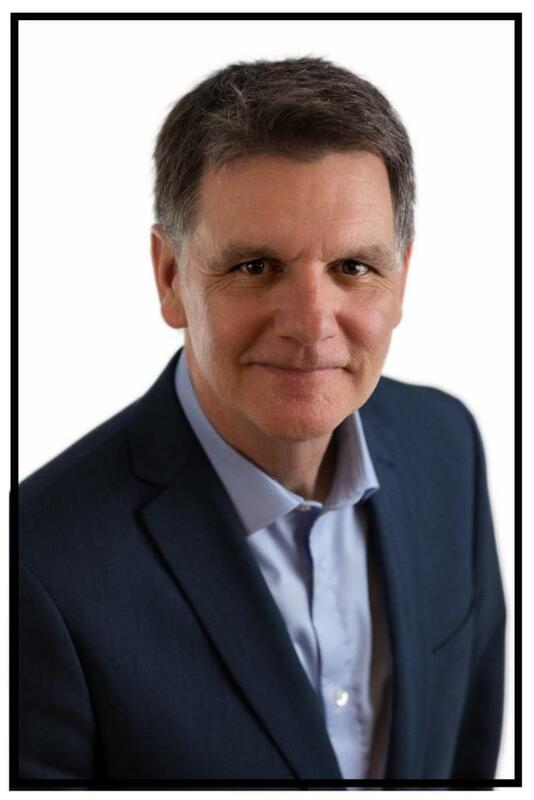 Please contact Ginger Brunner, Regional HR Specialist, at gbrunner@go2hr.ca or call 778-721-5523.
go2HR is pleased to welcome four tourism industry professionals to its board of directors, joining 11 directors who were re-appointed or continuing their terms. These directors were elected at go2HR’s Annual General Meeting on June 19th. 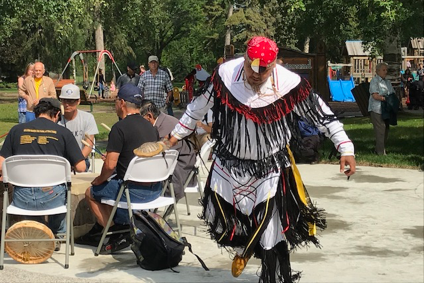 As part of National Indigenous Peoples Day celebrations in Prince George the new Lheidli T'enneh Memorial Park pavilion was officially opened. The event drew a huge crowd and included the Lheidli T’enneh men’s drum group with a costumed dancer, Elder Jeanette Kozak giving thanks, and opening remarks by Mayor Lyn Hall and Chief Dominic Frederick. The pavilion is designed as two rivers flowing together and represents the relationship that the City of Prince George and Lheidli T’enneh have embraced. The pavilion is a gathering place – a place where people come together, just as the Nechako and Fraser Rivers do. The centre of the pavilion holds a table and people are encouraged to use the facility and come together. 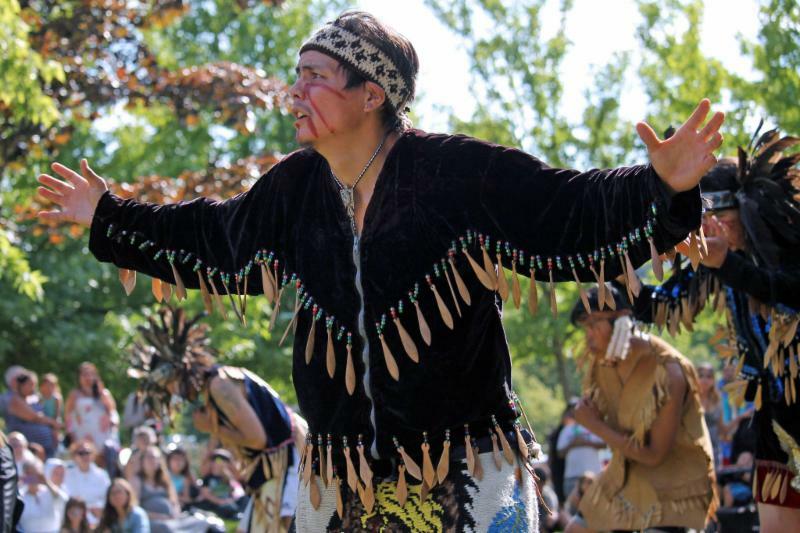 A National Indigenous Peoples' Day celebration at Thunderbird Memorial Square in Abbotsford featured pow wow dancing, jigging, storytelling and crafts. Over 1,000 Abbotsford School District students visited Thunderbird Memorial Square for the festivities, recognizing and celebrating the cultures and contributions of the First Nations, Inuit and Métis Indigenous peoples in Canada. 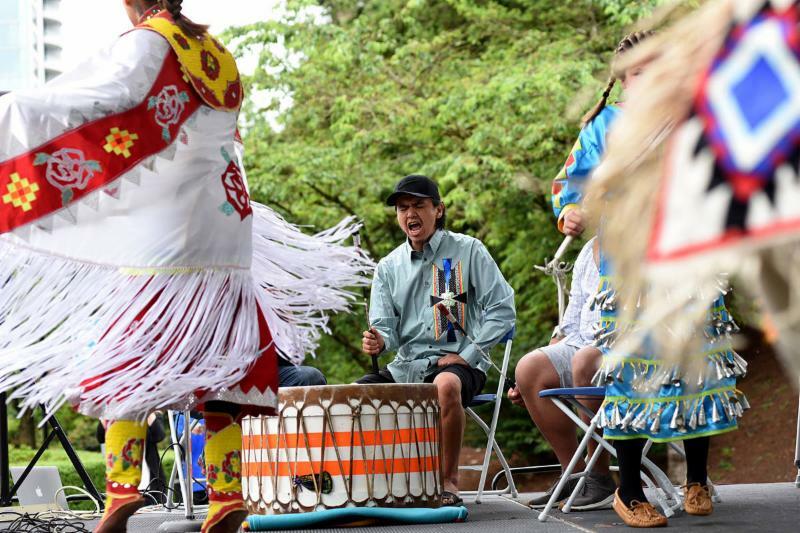 The fifth annual National Indigenous Peoples Day celebration took place at Maffeo Sutton Park in Nanaimo on Thursday June 20. Families listened to music and watched dancers perform at the Lions Pavilion, ate salmon and traditional bannock together or browsed artisan booths and activities at the four-hour event hosted by Nanaimo Aboriginal Centre, Mid Island Métis Nation and the Boys and Girls Clubs of Central Vancouver Island. 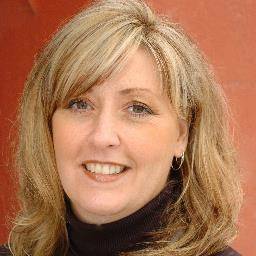 Nancy Small, previously of Tourism Burnaby, will be taking the position as Chief Executive Officer for Tourism Richmond, effective July 23rd. 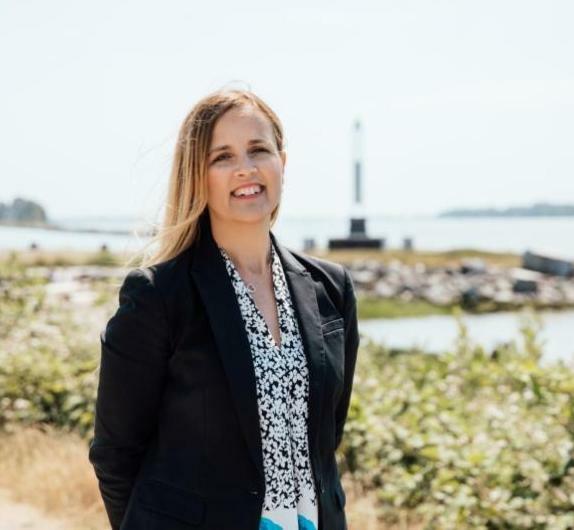 Her experience at Tourism Burnaby leading a team of dynamic professionals in various areas such as building community partnerships, leading innovative marketing campaigns and with product development will be an asset to Tourism Richmond. After almost seven years at TOTA, his team said farewell to our friend and colleague Howard Grieve, who officially retired from TOTA and his role in Travel Trade and Media this past Friday, June 29th. Enjoy retirement Howard! Carla Young joins TOTA as the new Travel Media and Digital Marketing Specialist. Carla comes to TOTA after 12 years at Tourism Saskatchewan. Her experience in Saskatchewan has given her a deep knowledge of the tourism industry and tourism marketing trends. 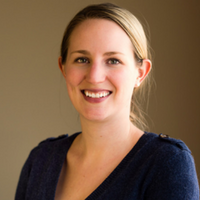 Ingrid Dilschneider joins TOTA as their new Travel Trade and Digital Marketing Specialist. Ingrid’s 35 years of experience in hospitality includes positions in marketing, communications, special events, and operations. She’s probably best known for her eight-year tenure as the Director of Business Development at Predator Ridge, one of Canada’s top golf communities. The Pacific National Exhibition (PNE) Board of Directors recently announced that the new President and Chief Executive Officer of the PNE is Ms. Shelley Frost. 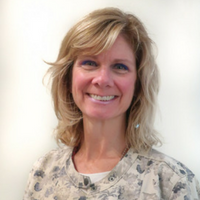 Shelley has been a member of the PNE executive team for over 14 years and was most recently Vice President of Sales & Marketing. Quails' Gate Winery provides exceptional wine, food, and service - from the land, hard work, and the heart. As one of Canada's foremost family owned and operated estate wine producers, Quails' Gate is internationally recognized as a top quality wine producer and a premier agri-tourism destination. 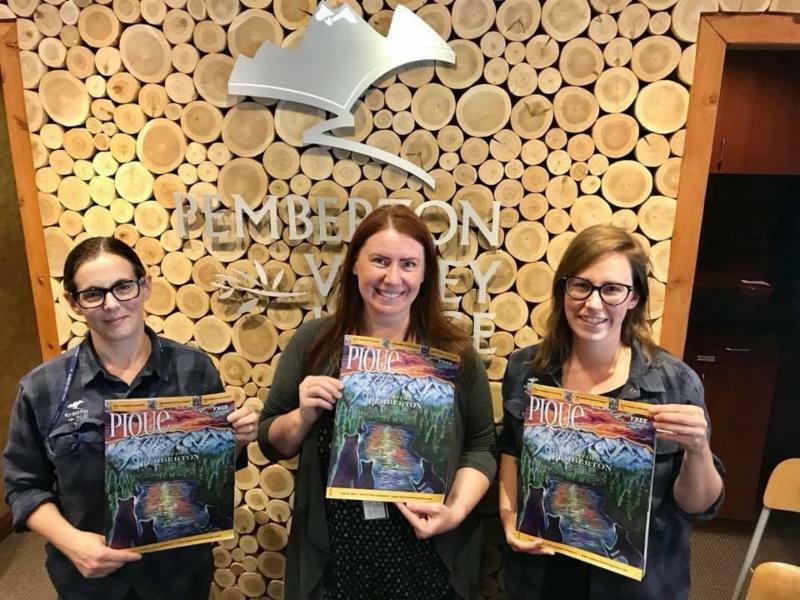 Congratulations to Pemberton Valley Lodge - winner of the Best Hotel/Bed & Breakfast in the Pique NewsMagazines's Best of Pemberton edition. Registration is now open for the 27th Annual Thompson Okanagan Tourism Association Golf Tournament! Two major cruise companies are stepping up efforts to eliminate a modern-day scourge of the oceans: plastic. Royal Caribbean Cruises has announced that its fleet will eliminate plastic straws as of 2019. 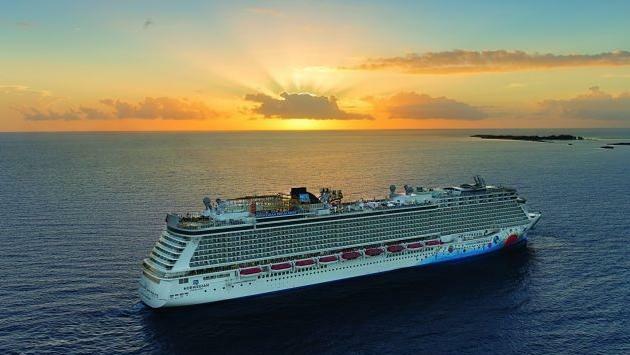 Additionally, Norwegian Cruise Line Holdings has joined Ocean Conservancy’s Trash Free Seas Alliance . 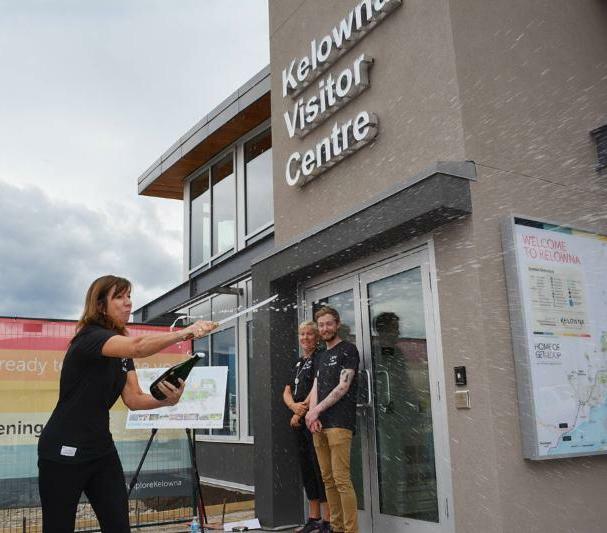 Tourism Kelowna’s new $2.8 million, downtown lakeshore visitor centre is now open. 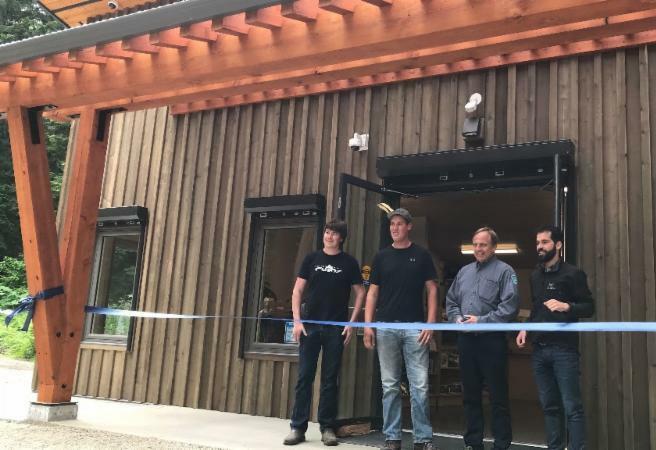 In a ceremony held Thursday afternoon—that featured the sabring of bottles of sparkling wine to mark the occasion—the new single-storey wood and glass building was opened. BC Parks recently opened a Visitor Centre on Lakelse Lake Provincial Park, just outside of Terrace. In 2017, the Ministry of Tourism, Arts & Culture provided funding to Kootenay Rockies Tourism (KRT) to market the areas affected by the wildfire season in 2017. 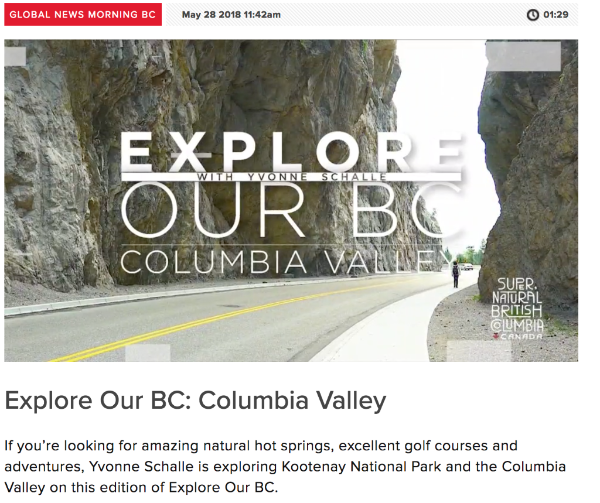 KRT worked in collaboration with Destination BC on various campaigns including the Explore Our BC campaign, where the Columbia Valley was featured on Global TV BC. 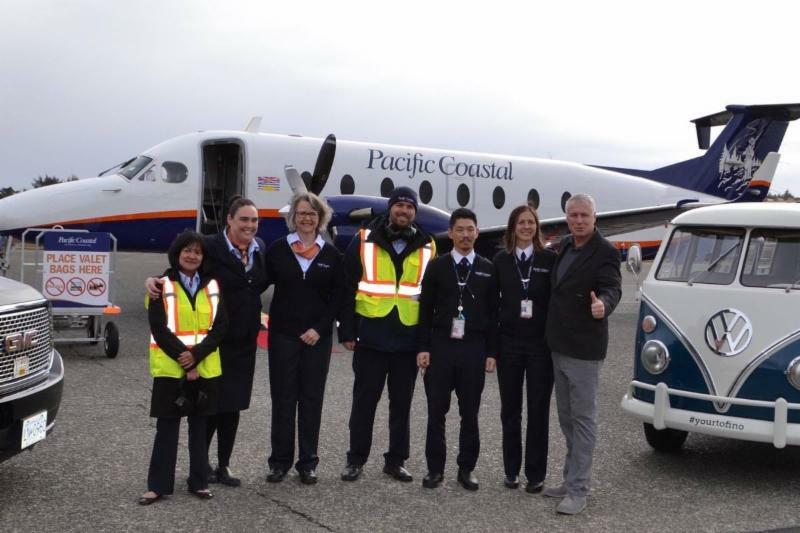 Effective July 1, Pacific Coastal will increase service between YVR's South Terminal and Tofino/Long Beach Airport to two flights daily. The increase is due to anticipated demand during peak summer season as awareness of Tofino and Ucluelet as must-visit travel destinations continues to grow. 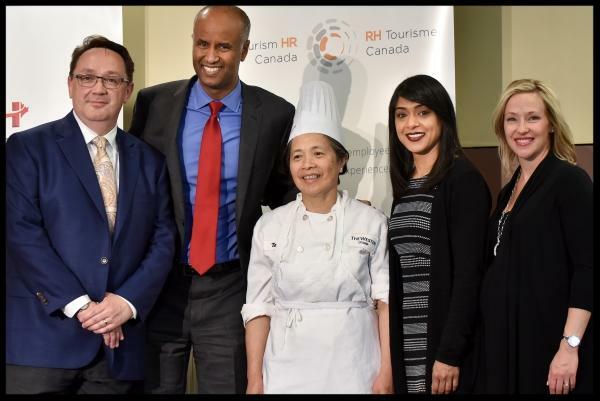 On World Refugee Day, the Hotel Association of Canada , together with Tourism HR Canada, applauded the federal government for launching the Employing Newcomers in Canadian Hotels Pilot Project. This three-year pilot program will see nearly $7 million dedicated by Immigration, Refugees and Citizenship Canada to connect newcomers to Canada with jobs in the hotel industry in 5 regions across the country. TIAC and UnionPay sign a cooperation MOU during a China trade mission led by the Honourable Bardish Chagger, Minister of Small Business and Tourism. The agreement recognizes the importance of the Chinese market to the Canadian tourism economy and sets in motion a collaborative approach for activities beyond 2018. The MOU expands the existing partnership between TIAC and UnionPay to further advance TIAC's China Readiness Training Program, promotional opportunities to both TIAC members and UnionPay merchants in attracting Chinese visitors, as well as, knowledge on Chinese visitors' travel and spending to help Canadian tourism suppliers meet market demands. 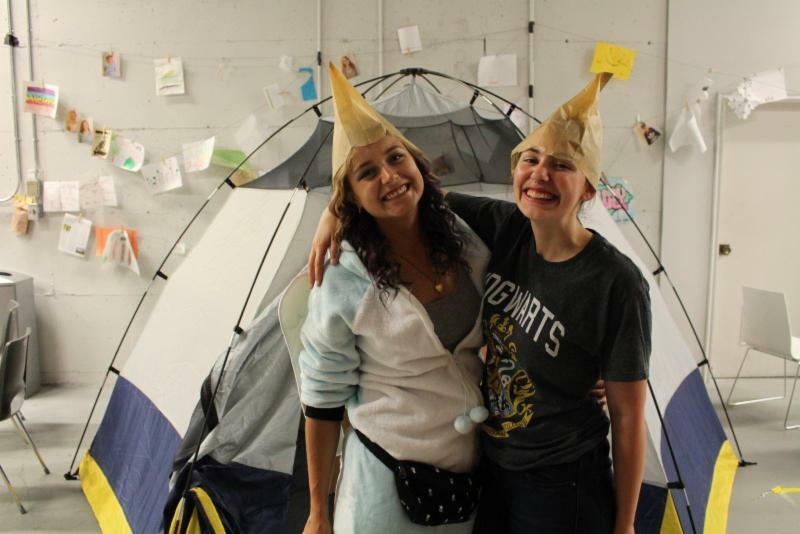 Sleepaway Camps Aren’t Just for Kids! Adults, join the Royal BC Museum for a night of food, entertainment, and adventurous Egypt-themed excursions. Bring your sleeping bag, pj’s, your favourite teddy and set up camp in the museum’s galleries. Tired of the same old thing? 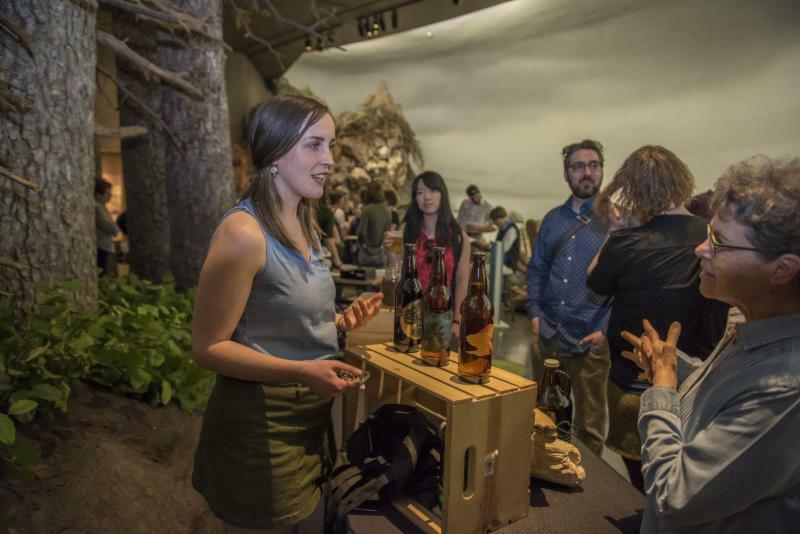 Why not come to the Royal BC Museum after work and try something new! Enjoy drink and food specials while you explore a gallery and take part in different themed activities for adults only. Upcoming Museum Happy Hours will take place on Thursday nights in April, July and November.